연구논문 어떻게 써야할지 모르겠다면? 저널 리젝(reject)에 어떻게 대처해야할지 모르겠다면? 지금 바로 연구논문작성 특강에 참가해보세요! 여러분의 많은 관심과 참여 부탁드립니다. 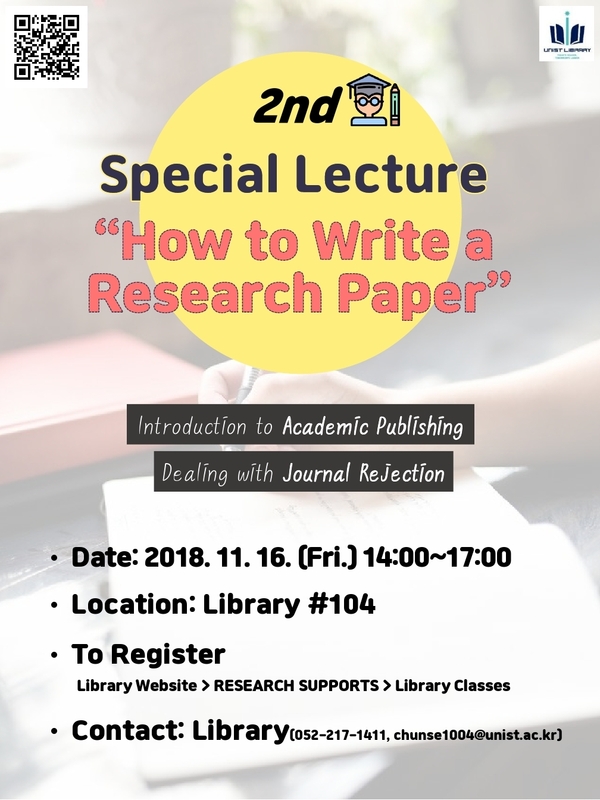 You will be introduced to academic publishing and how to deal with rejection from journals. or if you want to better your research paper writing skills, come and join our class! ※ Application can be made for up to 100 people on first come first served basis. OMNIA’s paper Accepted to ASPLO..
Two papers are selected for prese..